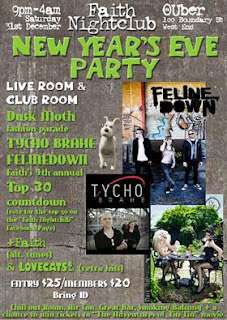 Faith takes over the entire top floor of Uber Nightclub, 100 Boundary Rd, West End, this Saturday 31st December (New Year's Eve) where we'll be playing with Feline Down. This will be a special occasion for us, as it will be the first show as the full four-piece band with newest member Sam Morrison. 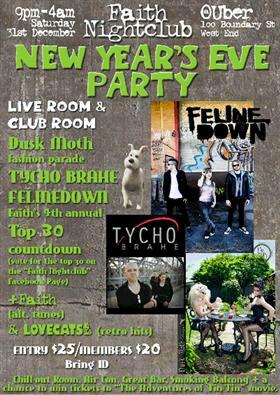 Should make for an interesting night, since Stephen and Sam are also both in Feline Down! Doors open at 9pm, be there with us to welcome the future!